A man accused of shooting a co-worker with a nail gun at a Pictou County worksite last fall is now facing an assault with a weapon charge. A man accused of shooting a co-worker with a nail gun at a worksite last fall in Nova Scotia's Pictou County is now facing an assault with a weapon charge. Shawn Wade Hynes, of Trenton, N.S., was first charged with criminal negligence causing bodily harm after a 21-year-old man was injured when he was struck in the back with a nail fired from a nail gun on Sept. 19. The victim, Nhlanhla Dlamini, previously told CBC News he was at a construction site in Abercrombie when Hynes accused him of working too slowly before aiming an air-powered nail gun at him, pulling back the safety and firing. 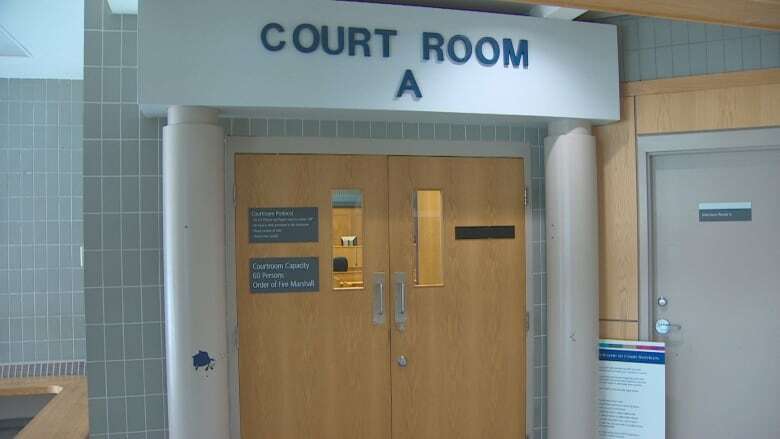 The new charge became public Monday in Pictou provincial court. Hynes's lawyer, Andrew O'Blenis, said he had not received notice from the Crown of the assault with a weapon charge. O'Blenis told the court he was expecting to enter a not guilty plea on the original charge and set a trial date. Hynes's plea was held over until March 25 to give the defence time to prepare. In October, protesters in Halifax called on the Crown to upgrade the charge to attempted murder and to treat the case as a hate crime. Dlamini's mother, Stacey Dlamini, welcomed the additional charge on Monday. "It seems to me to be more in line with what we believe happened that day. The previous charge had to do, in my understanding, more with an accident in which somebody was unintentionally harmed," she said. "A charge of assault is closer to our version of events. So I think it's a good thing." 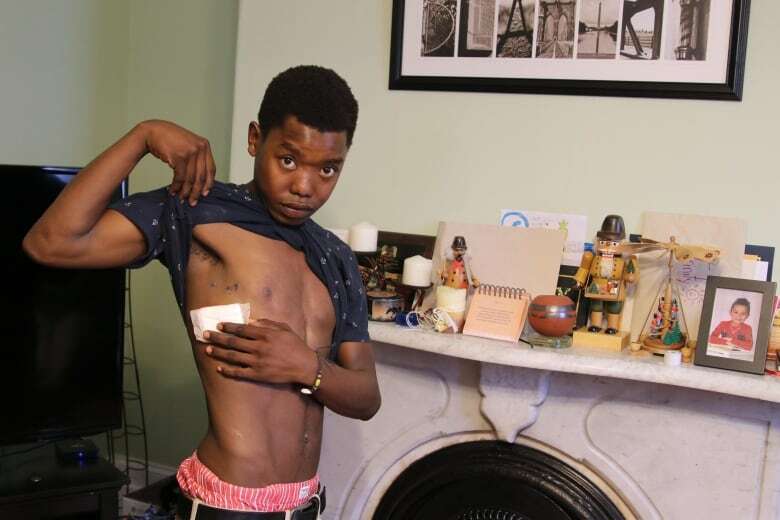 Dlamini required emergency surgery after his lung was punctured with a 3½-inch framing nail. He was hospitalized for four days. The shooting came after weeks of racially charged harassment by Hynes, said Dlamini, who is black. In his three weeks on the job before the incident, Dlamini said Hynes called him "Squigger," threw nails at him, hammered his booted foot and stapled his jacket to a staircase. Dlamini said at one point Hynes told him everyone should own a black person. Dlamini said he was the only person of colour on the worksite, and the only person bullied by Hynes. Hynes failed to appear for his first scheduled court date in January. A second date in February was adjourned to allow the Crown and defence more time to review the file. There have been no charges laid against Dlamini's employer, P.Q. Properties Ltd., or its owner Paul Quinn. 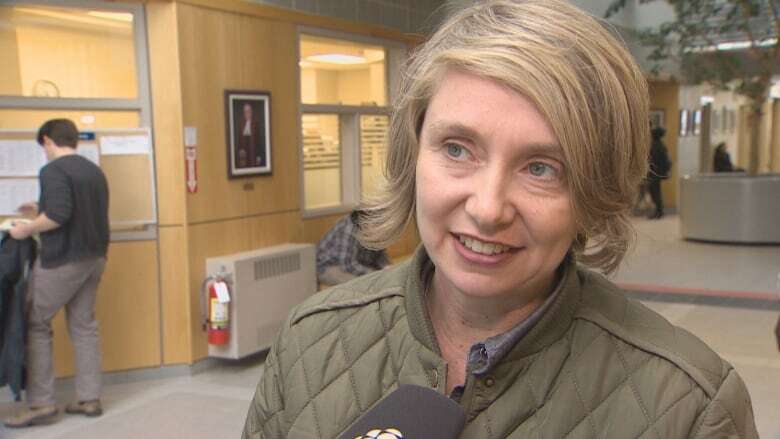 The Department of Labour said it will not be charging the company under the Nova Scotia Occupational Health and Safety Act after completing an inspection of the worksite. "Evidence gathered supported a warning to put a safe work practice in writing around the safe use of automatic nailing devices," department spokesperon Chrissy Matheson said last month.